Bi-folding doors have become one of the most sought after home accessories in recent years, and experts are predicting that more and more new commercial and domestic buildings will feature the doors in 2015. Bi-folding doors, unlike sliding and patio arrangements, allow your home to almost completely open up to the outside elements, creating a clear walking space between garden and living/dining area. 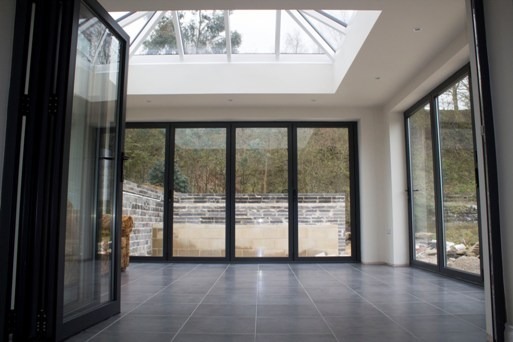 Their popularity has grown as more people look to make the most out of their space and with less people keeping gardens, having bi-folding doors can help to give the impression of a very large extension. 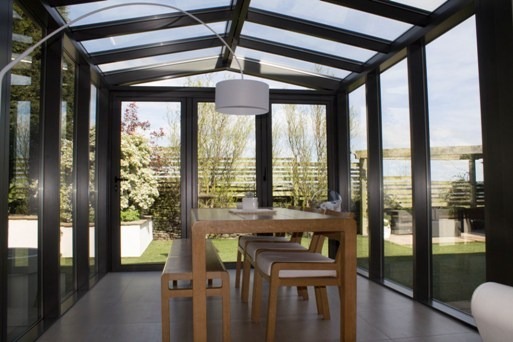 One of the great benefits of bi-folding doors is their energy saving ratings. More and more people are aware of the impact they have on the environment, so if they can reduce energy costs and usage, this is a great positive. We know from experience that people in Huddersfield are very conscious so have large amounts of high efficiency glass in their windows and doors not only reduces energy bills in winter, but also keeps temperatures cooler in the summer, so you do not need to invest in an aircon system (which uses high levels of electricity). A second great benefit is the large amounts of natural light which can enter your home from the large open spaces. Natural light is proven to have a positive effect on health, general well-being and morale, and this can greatly affect your lifestyle. A simple choice to have more glass in your home could add years to your life. So why should you use aluminium? Well with large amounts of new glass at your home, you may wonder about security. Aluminium frames are the most secure available and provide very high levels of strength. They also have smaller sight lines which make their appearance very impressive. The final great reason to use them is that they last longer that UPVC, do not warp in the heat and require less maintenance meaning you can enjoy your doors for longer, rather than worrying or having to maintain them. So, if you want to take advantage of these great features and join the bi-folding door boom in 2015, why not speak to one of our team. 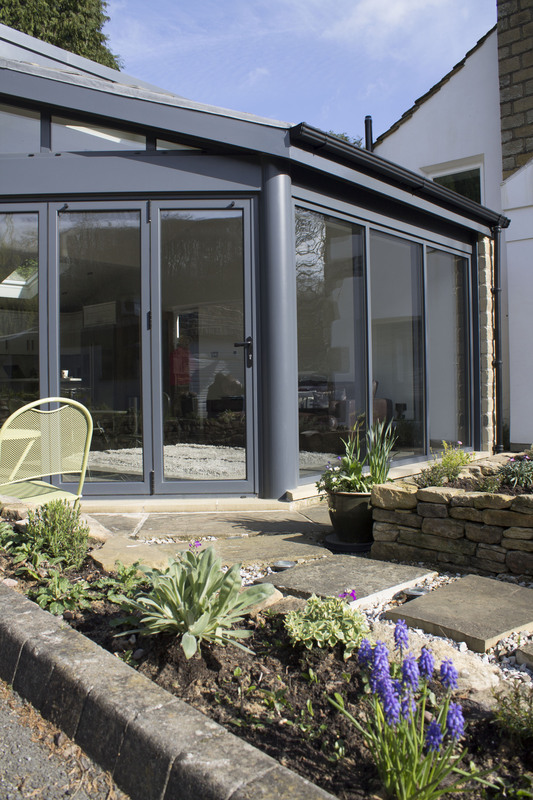 We provide aluminium bi-folding doors for homes across Yorkshire, including, Huddersfield, Leeds and Wakefield, so speak to use today.